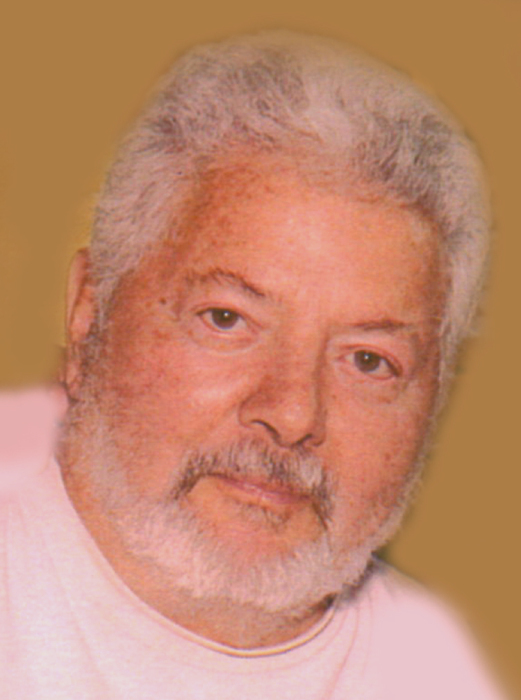 William “Bill” Belmonte was born March 4, 1938 in Chicago, Illinois and passed away March 12, 2019, in Corrales, NM. The eldest of five children born to Virginia and William Belmonte, Bill is survived by his wife Sally Olivas Belmonte, only daughter Bianca Belmonte-Sapien, son-in-law Phillip G. Sapien, three grandchildren; Marco A. Sapien, Catalina N. Sapien, and Francisco G. Sapien; siblings Francis Hum, Dale Belmonte, Leonard Belmonte and Dee Dee Belmonte; and many nieces and nephews. Pallbearers for the funeral mass are Phillip Sapien, Joseph Sapien, John Sapien, Pat Navarro, Ken Archibeque, Manuel Perez; Honorary Pallbearers William Sapien, Marco Sapien, Alejandro Sapien and Francisco Sapien. William was a playful child, a good eater and helpful to his father and mother around the home. He told fond stories of growing up in Chicago, playing with his baking soda submarine, feeding a pet crow named Sam, building a canoe, enjoying Flash Gordon and belonging to a neighborhood social club as a teenager. Although he was not the best student at Steinmetz High, he succeeded in athletics, art and drew best from a microscope for science. He worked as a golf caddy, a bowling alley pin setter before serving his country and a career as a graphic artist. His first car was a Ford Thunderbird. He also helped his grandfather Leonardo Belmonte travel by ship to Italy to visit family. Dad served in the Army and the Illinois National Guard and was awarded an honorable discharge from two active duty service periods, earning a badge and medal in Marksmanship, 1st Class Gunner and a Badge for Sharpshooter. He completed Lithography coursework, but always wanted to work in construction. Later, he realized his dream as he went on to design, plan and build his summer retirement lake home “Belmonte Lodge” in Elephant Butte, NM. Bill left Chicago in the late 60’s and headed West. He lived in the Denver area, San Diego and Los Angeles finding work as a printer. He joined the San Francisco Lithographers Union and worked while enjoying swimming, surfing, boating, camping, Golf, Tennis, fishing, clam digging, gold panning, skiing, Bocci and playing cards. He was fascinated by science fiction, space and inventions. He was an accomplished artist with acrylic crayons, sea shell mirrors, soapstone carvings and aluminum modeling. He wrote science fiction stories. He enjoyed political debate, Saturday Night Live, Star Trek and 60 Minutes (his favorite!). Dad loved a good parade, watching the Rose Bowl Parade and the Thanksgiving Day Parade each year. In 1969 he met Sally in San Jose, CA. Dad loved a good party! He enjoyed dancing, fairs, festivals, concerts, Giants baseball games, horse races at Bay Meadows, trips to wine country in Napa, and traveling up and down the Pacific Coast. Dad supported his daughter Bianca, and all of her friends from San Bruno by driving them to their games, cheering them on or taking them out for pizza after games. Dad loved to travel the world with his family and collected photos, videos, and postcards from all over the US including Alaska and Hawaii, Mexico, Jamaica, Europe and Morocco. In retirement, he traveled in a motorhome with mom for more than seven years! Dad taught us all to enjoy life, not to work too hard, to love your children, to pay what you owe and to save for what you want. We can fondly smile about him as we remember him saying, “You snooze, you lose” when food was ready. He had a Tarzan call or a crow call whenever we were lost from him. He loved to eat good food; fish, pasta, bubble water, and chocolate milk are among his favorites. He had such a belly aching laugh and a fun, positive life attitude to go with it. A Rosary will be recited Friday, March 22, 2019 at 9:00 a.m. at San Ysidro Catholic Church, 5015 Corrales Rd., Corrales, NM, Burial will follow on March 25, 2019 at 2:00pm at Safford Cemetery.